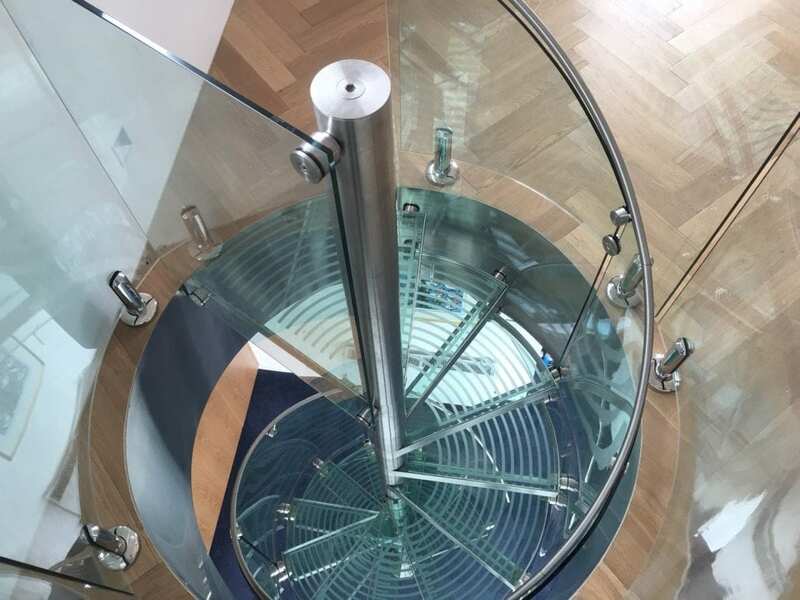 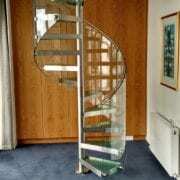 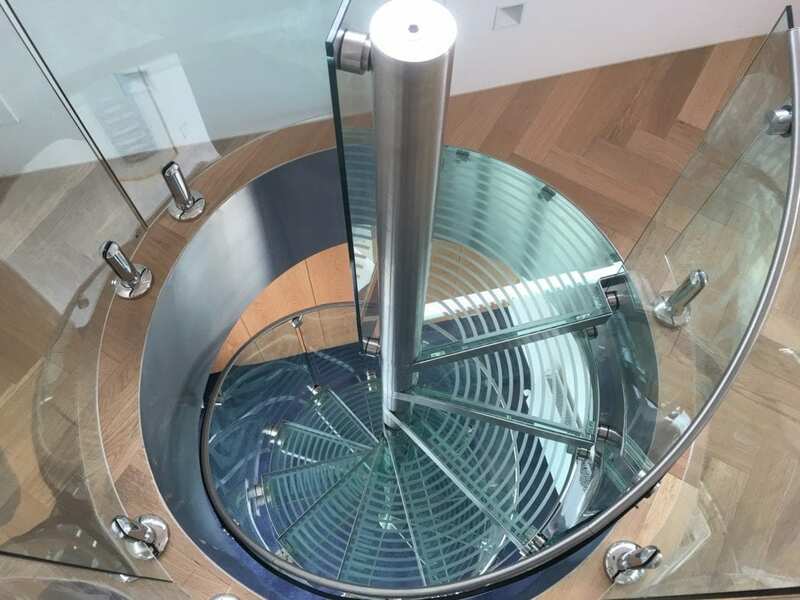 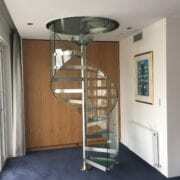 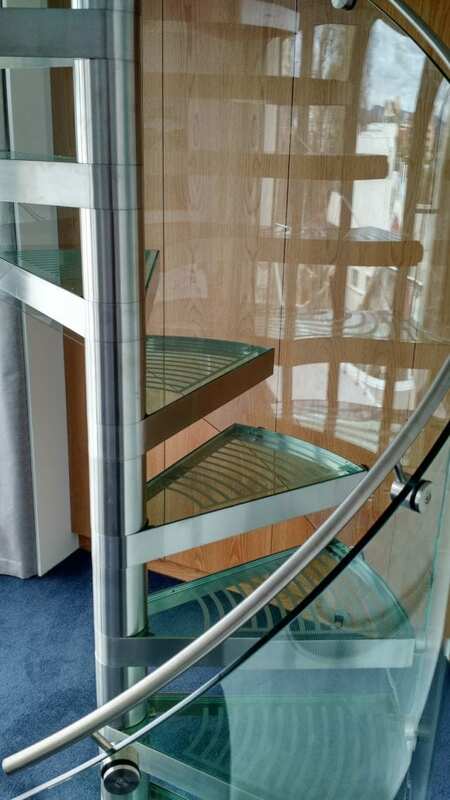 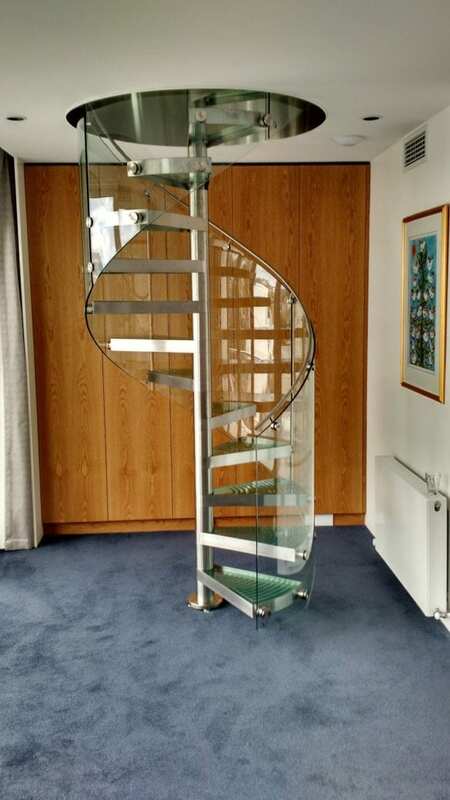 This brand new range of spiral stairs from enzie features glass treads with your choice of a balustrade made from laser-cut aluminium, stainless steel tube or glass. 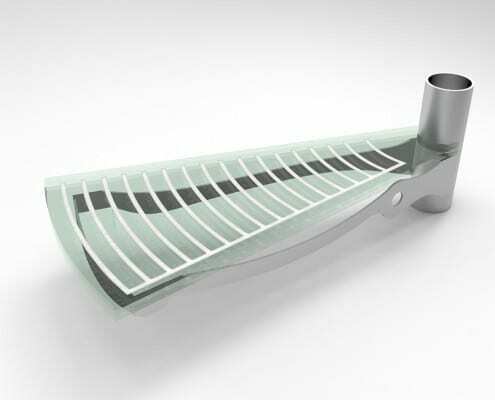 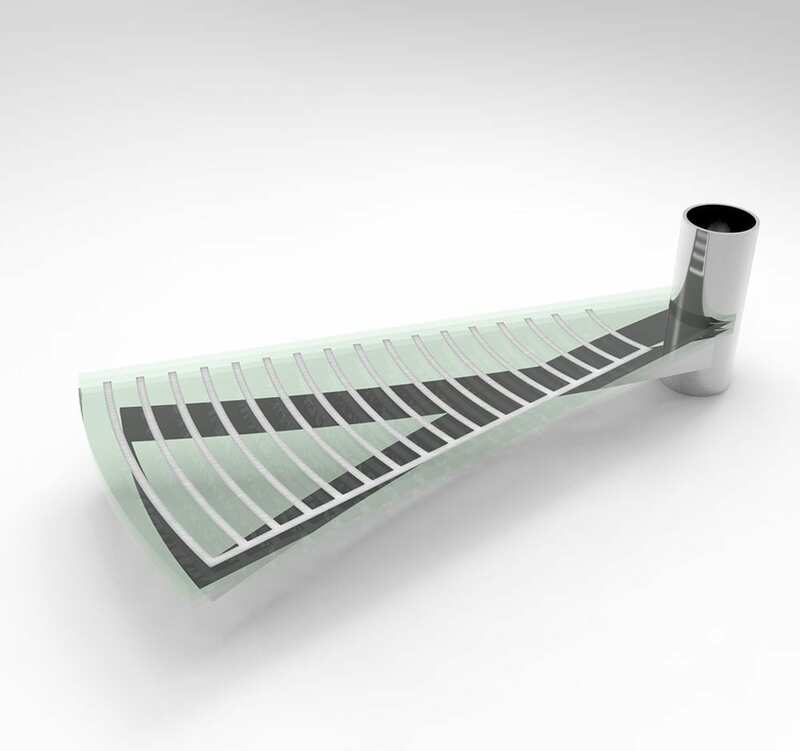 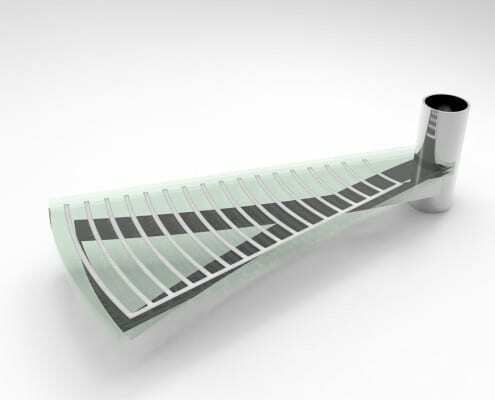 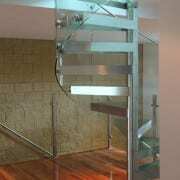 The handrail can be made from steel or timber. 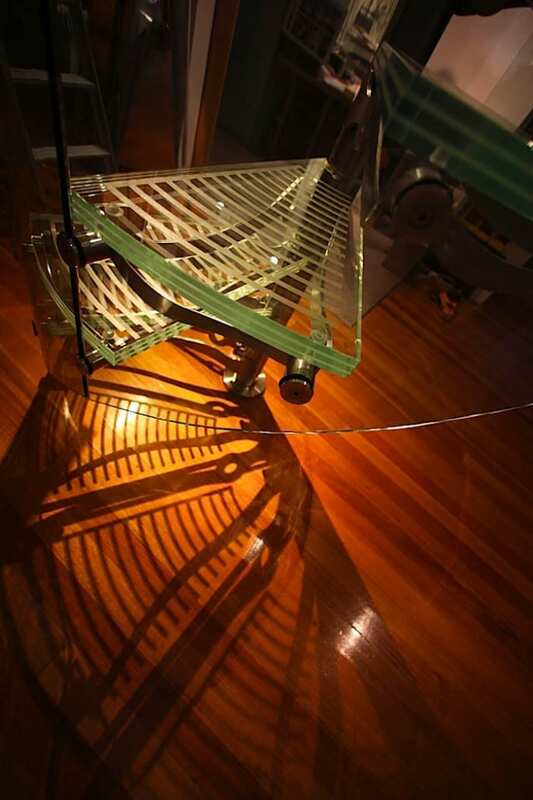 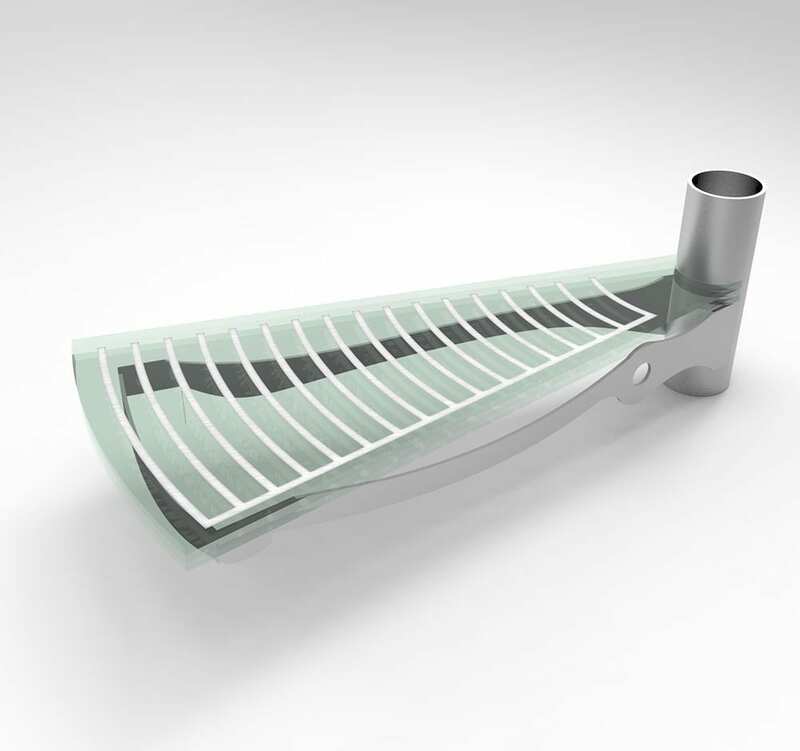 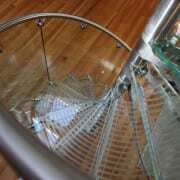 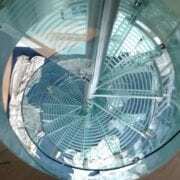 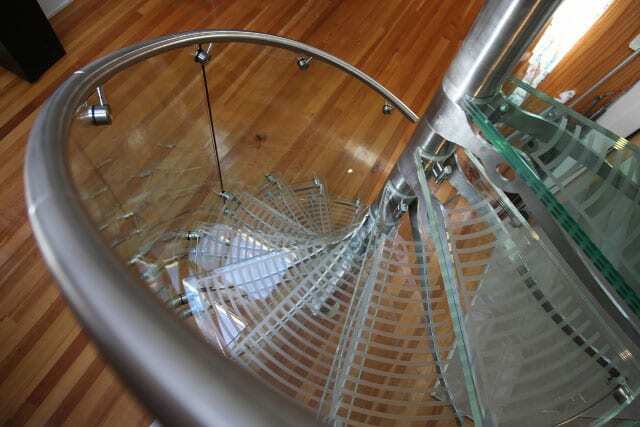 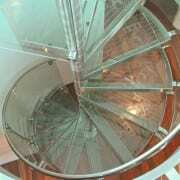 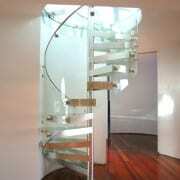 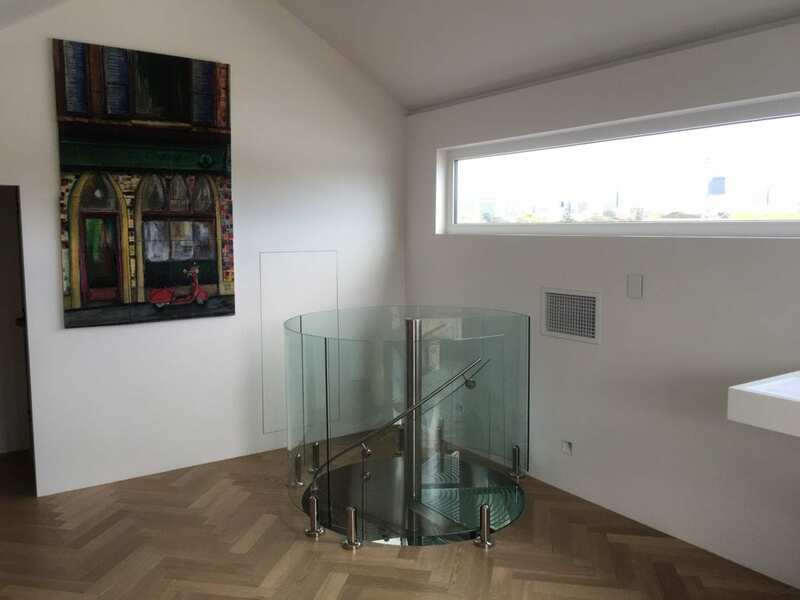 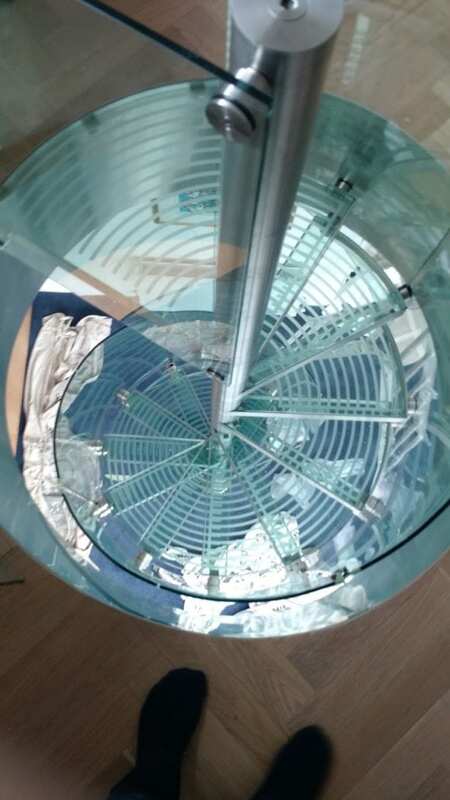 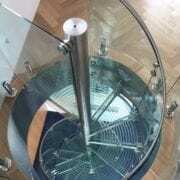 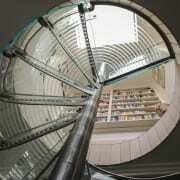 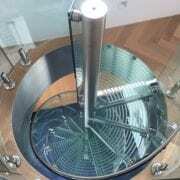 Glass treads allow the transfer of light through the stair and provide a light and open design. 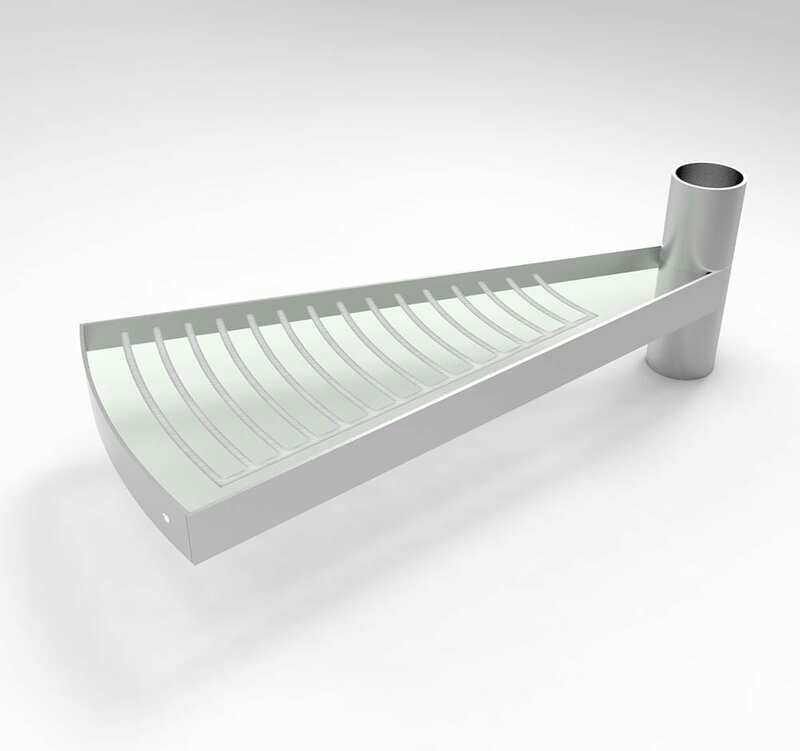 Balustrade options include those used in the Mac series, the Lucinda series and the Universal series. 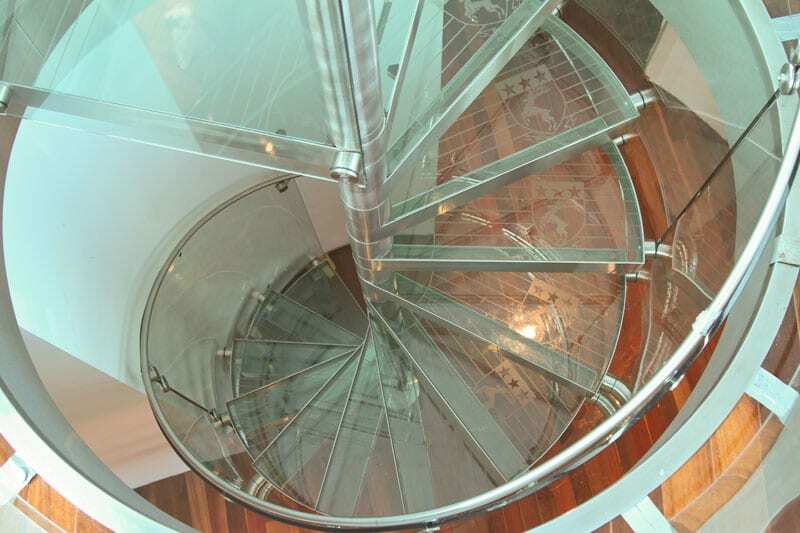 Glass allows light to flow through the stairs, creating a very airy and luxurious dwelling. 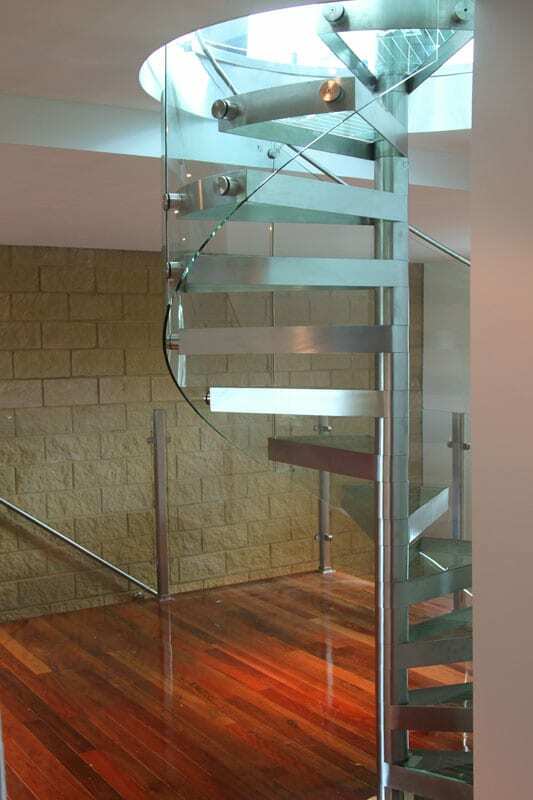 As natural light permeates the space, it produces different moods and forms a seamless transition between rooms. 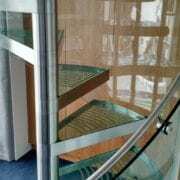 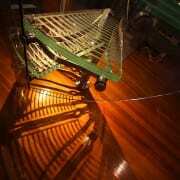 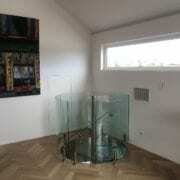 Glass can also be used in landings and “see-throughs” from one floor to another to add even more visual interest and drama. 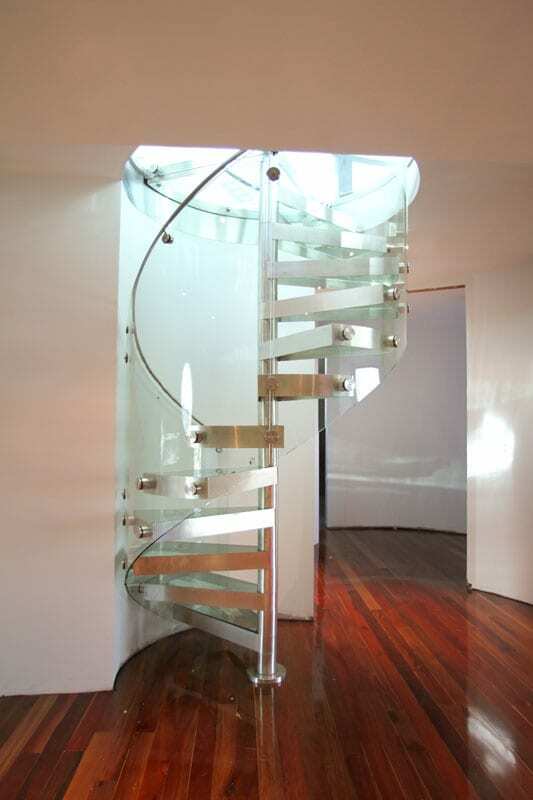 Glass makes a dramatic entrance. 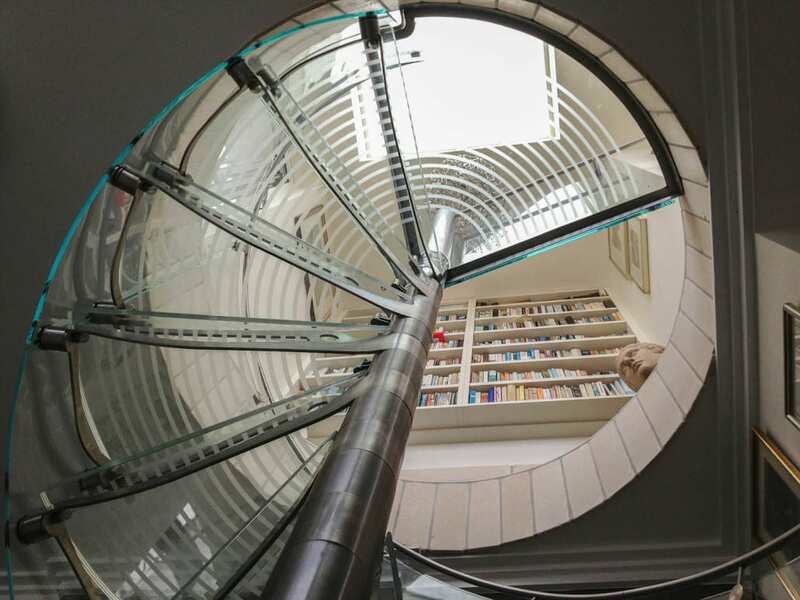 A staircase is a natural architectural centerpiece and often makes the first impression as one enters a home or business. 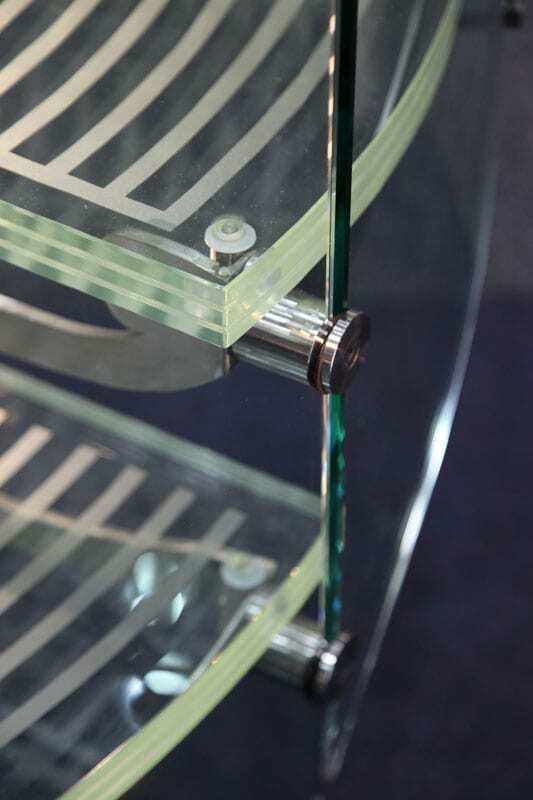 Don’t miss the opportunity to make it spectacular! 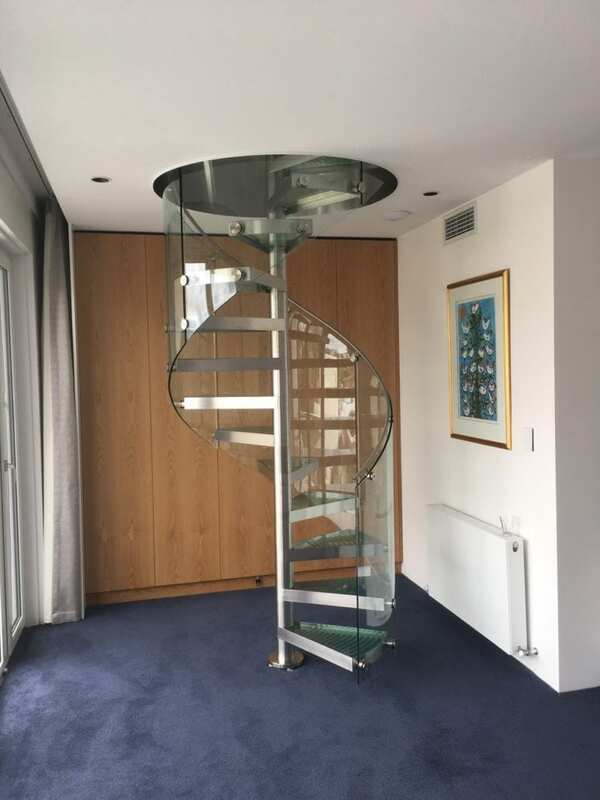 A wide range of decorator colours meets almost every decorating situation … blend the stair in a monochromatic scheme, dramatically contrast with bold colours or elegantly complement with stainless steel. 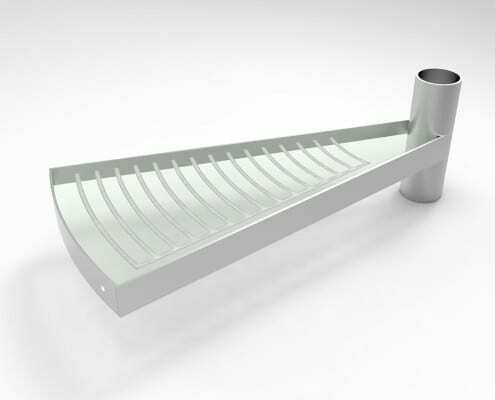 To ensure durability the steel components are powder-coated with polyester paint and oven baked in the factory. 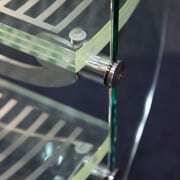 For more information about the finishing options available please follow this link.